Summary: Expats share tips and advice about healthcare and health insurance in the Dominican Republic. Advice about private hospitals, Zika and Chikungunya in the Dominican Republic and much more. Expats in the Dominican Republic offer advice to newcomers and people moving to the Dominican Republic about health insurance and healthcare. 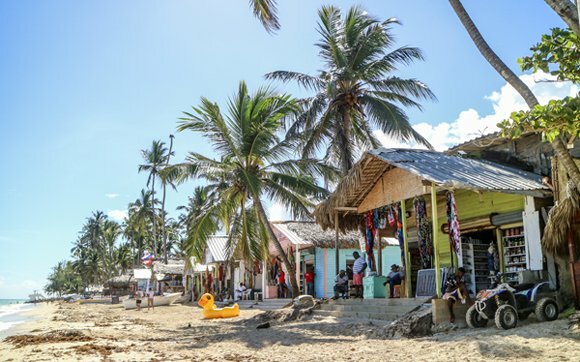 They recommend obtaining expat health insurance, using private hospitals and taking daily precautions to avoid mosquito bites due to the prevalence of Zika and Chikungunya. "You must purchase private insurance here. Public medical care is available but it is not the same, it is seriously inferior," advised one expat in a report about healthcare in the Dominican Republic. The US Embassy in Santo Domingo offered this advice to US citizens in the Dominican Republic, "When making a decision regarding health insurance, U.S. citizens should consider that many foreign doctors and hospitals require payment in cash prior to providing service and that a medical evacuation to the United States may cost well in excess of $50,000. Uninsured travelers who require medical care overseas often face extreme difficulties. 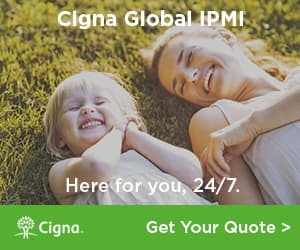 When consulting with your insurer prior to your trip, please ascertain whether payment will be made to the overseas healthcare provider or if you will be reimbursed later for expenses that you incur." "Private hospitals differ one from the other. Most are good and some are excellent. You can get almost all kinds of care in private hospitals and good quality care in private clinics. There are many private facilities in Santo Domingo," said one expat. The US State Department talks about the quality of care at private hospitals in the Dominican Republic, "While private hospitals that are located in large cities are fairly adequate, the quality of care can vary. Emergency treatment before payment is not required by Dominican law, and a deposit or fees for services may be required before emergency medical treatment. For additional information please reference our webpage about Medical Assistance or see our List of Doctors and Hospitals in the Dominican Republic." The Embassy also publishes Medical Evacuation and Air Ambulance Information. Make sure you got your medical taken care as the private clinics or hospital is the way to go," recommended one expat in a thread about living in Santo Domingo. According to the US State Department, the Zika virus is prevalent in DR. "Zika virus is a mosquito-borne illness that can be spread from a pregnant woman to her unborn baby as well as through sexual contact. The CDC has concluded that the Zika virus is a cause of microcephaly and other severe fetal brain defects in some fetuses and babies born to infected mothers. For additional information about Zika, including travel advisories, visit the CDC website." "Chikungunya, Dengue, and Yellow Fever are present on the island. Travelers should carry and use CDC recommended insect repellents," advised the US State Department. In a discussion on the Dominican Republic forum, expats discussed Chikungunya, Dengue and Cholera. "I had dengue in early February and it is brutal. Be careful, use mosquito repellent in the day time! these mosquitoes are the ones out during the day! Remove any standing water where they may breed, spray your yards and inside your houses as needed. It is not to be taken lightly. While Chikungunya is less deadly then dengue it is all the same mosquito. Either illness is bad so better to prevent," cautioned an expat in Boca Chica. "It took me just about a year to fully recover my the Dengue that I had. 1 of 4 types of Dengue. Their are no vaccinations for either of these and treatment is about the same with no known cure. Hydration, pain relievers and muscle relaxers only treat the symptoms but does not kill the virus. It runs its course," recounted another expat who had Dengue. One added, "Chikungunya is already an epidemic here. Hundreds are sick, more have been sick and were never diagnosed properly. The good news is that this is far less deadly then Dengue!" Expats have a lot of suggestions about getting rid of mosquitoes, "Simple insect screens and keeping screened doors/windows closed. (Dominicans don't like screening since it cuts down on the ventilation/breeze.) Getting rid of the breeding areas or standing water and dense damp vegetation. Long pants, socks and real shoes. Mosquito netting over beds. Not leaving fruits out on the counters that they also live on. A fan blowing on a person also is a big mosquito deterrent day and night. IMHO: it takes just about everyone to help do their part to get rid of this mosquito and thus the two viruses." Another expat said, "Take this seriously and protect yourselves. Use mosquito repellent during the day too! If you live here remove any standing water that acts as a breeding ground! If you find mosquitos during the day spray the bastards and kill them...... As someone who recently had Dengue - under discussion as my doctor is positive I in fact had Chikungunya because of the complications I am left with - I can tell you that you do not want to deal with this!!" In our healthcare report, we asked, "Are common prescription medicines available in the Dominican Republic? Do you need a prescription?" An expat replied, "Yes and most are available without a prescription with the exception of serious pain killers!" Another expat commented, "Anything that is not a narcotic can be purchased over the counter without a doctor's prescription." For most non-tourist visas (residency, student, business...) a medical certificate is required. In a discussion about the requirements for residency, one member wrote, "A medical certificate [is needed] confirming your current health status- emphasizing you do not suffer from any infectious or contagious diseases, translated and apostilled - 2 copies." One expat wrote, "I am a Viet Nam Veteran and I want to let you know about a company here that works with the VA about your medical benefits, it is called , medical Liaison & Veterans Assistance, their web site is www.mlvadr.com. Go online and check them out. They have three locations, Santiago, Santa Domingo and Puerta Plata. Take care, God Bless and thank you for your service." Visit our Dominican Rep Forum and talk with other expats who can offer you insight and tips about living in Dominican Rep.